However, to be competitive for a position in the ASTREA unit a candidate is likely going to need around 10 years of experience. UPDATE- (March 2013) Two of the last three deputies who transferred into the unit had just over 5 years each on the department. Why were they able to obtain a position in half the time it normally takes? I am not sure I can give you an exact answer. One of the deputies came to the department with an aviation degree and commercial ratings in both fixed wing and helicopters. I am sure that helped. But the other deputy did not have any aviation ratings. Each worked approximately 5 years in patrol. Traditionally ten years has been the average time it has taken for a deputy to get the experience and matrix points one needs to finish in the top 6 positions and therefore be eligible for selection by the unit commander. The new TFO is without question a patrol officer or deputy, in the sky so patrol experience and outstanding patrol skills are a must. Selecting someone with current and solid patrol skills only makes sense. No aviation ratings are required prior to being selected as a new TFO, (For many years a private fixed wing rating was required before the department would commence your helicopter flight training. This is no longer a requirement for now.) New TFO's must be able to obtain a FAA class 2 medical certificate. In order to be eligible for flight training the TFO must successfully complete TFO training, and must be a member of the unit for 18 months. The current practice is to begin rotorcraft flight training, in house, with unit CFI's. Many of our unit CFI's have over 5, 000 flight ours, with one or two around 7, 000 hours. Most students will be able to take off, hover, and land prior to going to flight school. 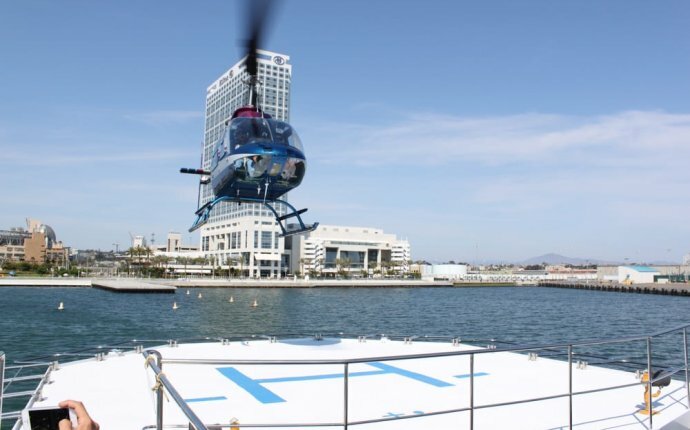 Once the paperwork has been taken care of, students are sent off to civilian flight school, full time until they obtain their commercial rotor-craft rating. The San Diego Sheriff's Department, and the San Diego Police Department both use Civic Helicopters Flight School, at Palomar Airport in Carlsbad for their flight training. Once at Civic flight training is conducted in the Schweizer 300 piston engine helicopter. After obtaining the commercial rating and returning to the unit, the new pilot receives more in house training, in our patrol ships, which are turbine powered MD500 series helicopters, (Note- the Schweizer 300 and the MD500 were at one time both Hughes aircraft, thus the similarities. When Hughes disbanded the piston line was sold to Schweizer and the turbine line was sold to MD Helicopters.) After re-acclimating to the MD500 the new pilot is off to Western Helicopters in Rialto Ca., for official 2 day MD500 transition training. This normally includes a landing on top of Mt. San Antonio (Mt. Baldy -Angeles National Forest) at an elevation of 1064 ft.) The course also includes multiple full touch down autos and emergency procedures. After the MD500 transition pilots go through a one day MD530F (a slightly more powerful helicopter) with Chin Tu, owner of Civic Helicopters. After a final check ride from one of the unit's Sergeant-CFI's the new pilot is signed off as a restricted line pilot and assigned to the day shift, with a more senior pilot. Training will continue almost indefinitely. Pilots will eventually receive one-skid and toe in training, long line training, night flying and night vision goggle training. During this time they will return to Western Helicopters for a mountain flying course.